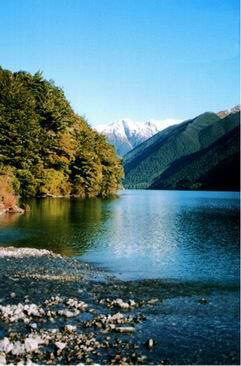 This trip gives you the best of both lakes and can be completed in one or two days. 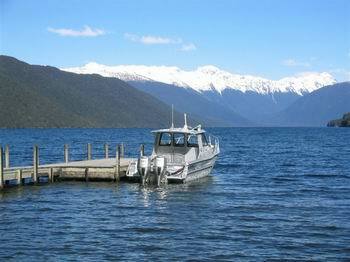 It’s best to start from the Lake Rotoiti as it’s mostly down hill tramping. 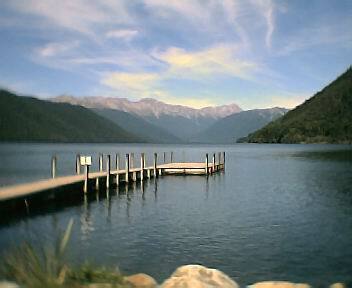 Lake Rotoiti although beautiful in it's own right is no match for the bigger and more spectacular Lake Rotoroa.Each lake is separated by almost by 500 feet in altitude and subsequently offers a large variation of vegetation. 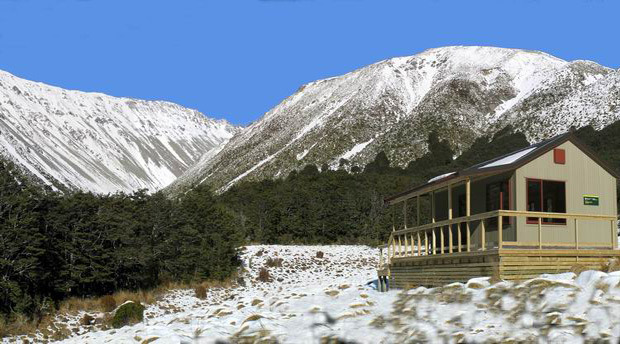 This trip also offers a safer alternative if the Robert Ridge is covered in cloud or snow. It takes about 8 – 9 hours to complete and if you are fit can be easy completed in one day. 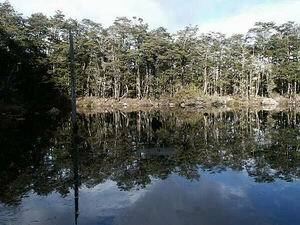 The Track down the side of Lake Rotoroa is very rough and has not been maintained for a number of years. Those who have attempted this track have all said it’s “a track from hell” and can take 6 – 9 hours to complete. There’s a radio for the Water Taxi at The Sabine Hut. Also Vodafone have good coverage at the hut. 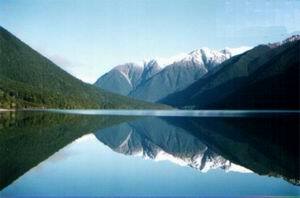 You are advised not to leave your car at the Mt Robert Carpark.Arrange for friends or Nelson Lakes Shuttles to drop you off. 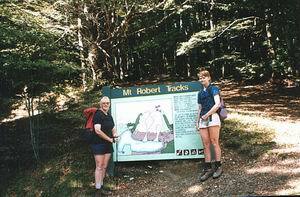 The track starts at the Mt Robert Carpark and travels down through mature beech forest to Speargrass Stream. It’s easy travel in the streambed before you slowly climb up to Speargrass clearing and the hut. 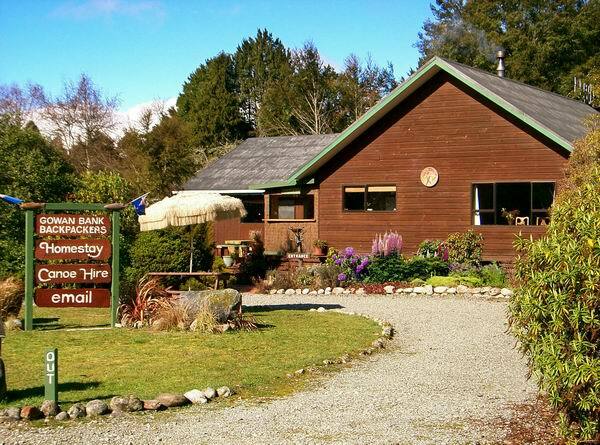 Speargrass Hut only sleeps 12 people and in the summer can be crowed very quickly. The red tussocks in speargrass clearing can stunning in the right light. After leaving the hut the track climbs steadily up to the saddle and then it’s mostly down hill to Lake Rotoroa.DOC have cut a new and more direct track to Sabine Hut. The old Howard Hut & Track no longer exists. The new track is well built and drained in most places. But in places it looks like DOC have run out of money. The boardwalk steps and viewing seat is something to be admired. On a good day it’s worth stopping at the viewing seat for a brew and admire the views. All the major streams are bridged and be careful on wet days traveling through the tree root sections of the track. 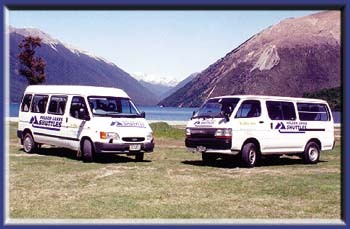 Once you have reached Sabine Hut call the Water Taxi and they will arrange to have Nelson Lakes Shuttles waiting for you at the Lake Rotoroa road end. If you have time I suggest having a meal at The Gowanbank Cafe. It's only a few minutes walk from the jetty. The Shuttle can pick you up from here. They will also phone the shuttle for you. Take it from me you wont be dissappointed (See this webpage). The Gowanbank Cafe. Try their tasty meals at the Cafe. Click here to find out more.